Now one thing you guys probably don’t know about me is that I love ear piercings and tattoos. I went through a bit of a rebellious stage when I was 17 and got two tattoos and I have a grand total of seven ear piercings! I am always on the hunt for more ideas and new piercings as I love them but I am a believer of less is more so I am holding off until I find something I really really want, although there are two tattoo ideas that I have in the pipeline but Tom hates tattoos and piercings so he may need some winning over! 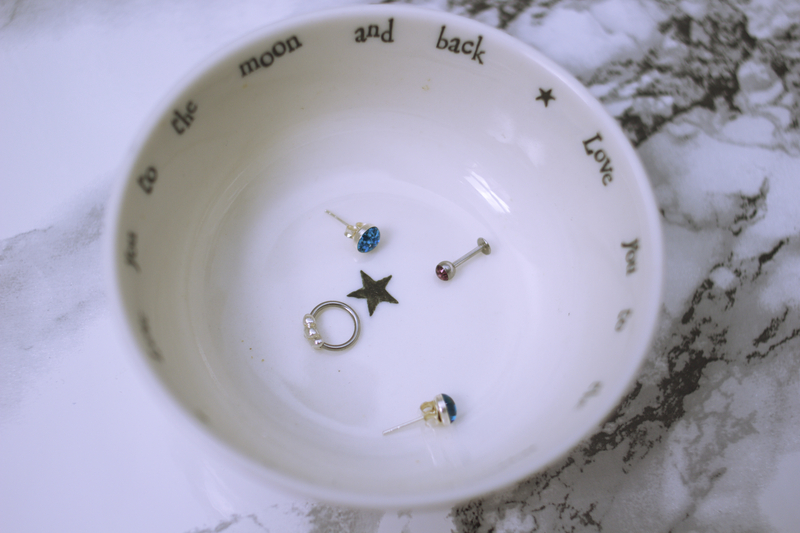 Anyway, the other month I saw that The Body Jewellery Shop were on EtailPR and I knew I had to try and work with them as they have some GORGEOUS items! Thankfully, they accepted me, and today I wanted to show you the lovely things they sent me. 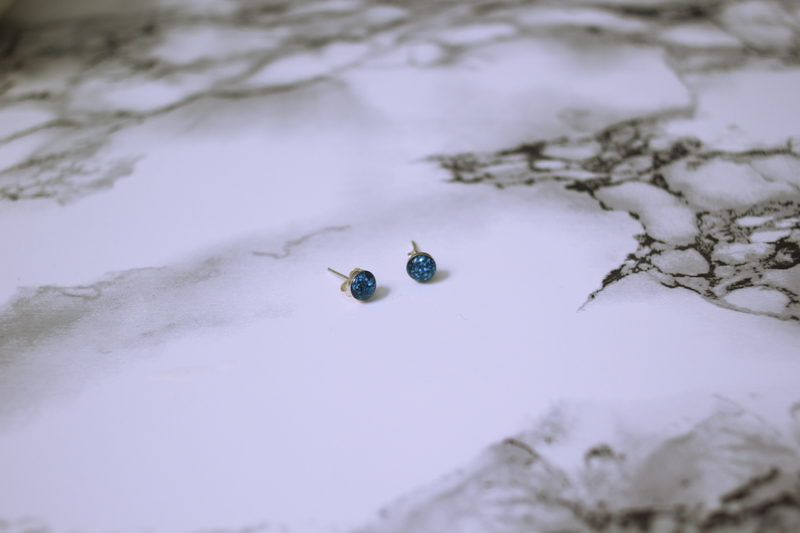 Turquoise Glitter Stud Earrings (ER063-6-IN)* – £1.99 – These are for you girls and guys that just like to have pierced ear lobes. I have my lobes pierced twice and these are the perfect size to allow me to have a second set of studs above them. I am a massive lover of anything glittery and sparkly and they do these earrings in various other coloured glitters, such as silver, pink and purple so I have definitely got my eyes on a few more pairs! They are made of high quality stainless steel so they won’t irritate your ears or turn them that god-awful green colour and for £1.99 they are a bargain! Smooth Jewel Steel Labret Stud – Purple (LS06-16084-A)* – £2.95 – I have just had my helix pierced on my right ear for the second time and this stud is perfect to fit neatly underneath the ring I already have. As the back of the stud is completely flat, it makes it more comfortable to sleep on and it also doesn’t catch on things as much. This was so easy to pop in and out as the jewel ball just screws on and off. 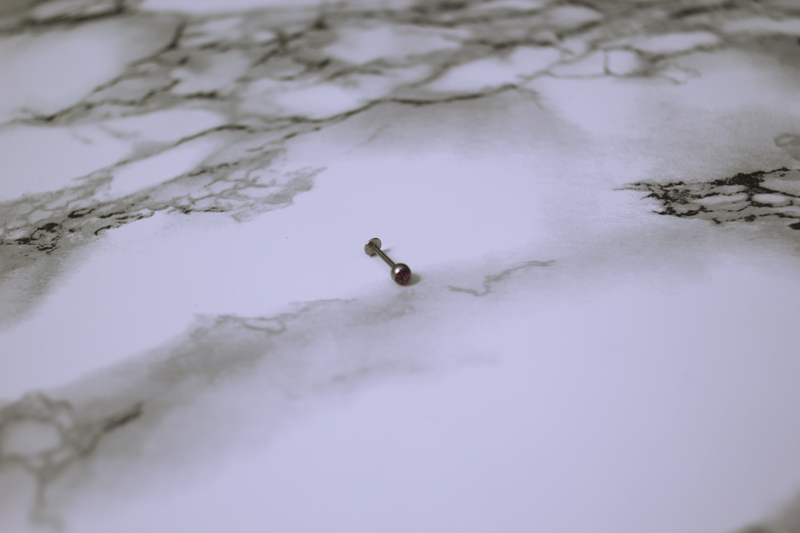 I picked the 1.2mm gauge as I like my jewellery to be quite thin but they make these studs in a 1.6mm gauge too. Again, this stud comes in so many bright colours so there is bound to be something you like! Silver & Steel Ball Closure Ring – 3 Outward Hearts (SCL11)* – £2.95 – This is probably my favourite item they sent me and I’ve saved it for my favourite piercing. A few years ago there was a lot of people racing to get their tragus pierced but not being one to like having what everyone else has, I got my daith pierced instead and I absolutely love it! This ring is so much easier to put in compared to the usual ball closure rings and the three little hearts are so cute! There are a few options available for this item, again you can pick the gauge from 1.2mm or 1.6mm, but you can also pick the diameter for the ring. You can choose either 8mm, like I did, 10mm or even 12mm which means this is suitable for so many different piercings. There is even someone on the website who has used it for a lip piercing so it really is quite multipurpose! Let me know what your favourite item is and whether you have ever tried anything from The Body Jewellery Shop before. I will definitely be getting a few more pieces and I will do a haul when I do! Although these items were sent to me for review, all the opinions in this post are completely my own and 100% honest. I just love piercings and new jewellery, I’m not gonna lie! P.S The dish in this post is from a company called East of India and I’ll leave the link here . They sell really cute things that are often found in little gift shops, that’s where I found this anyway. I use it to pop rings, bracelets and odd bits and pieces from my bedside table in. 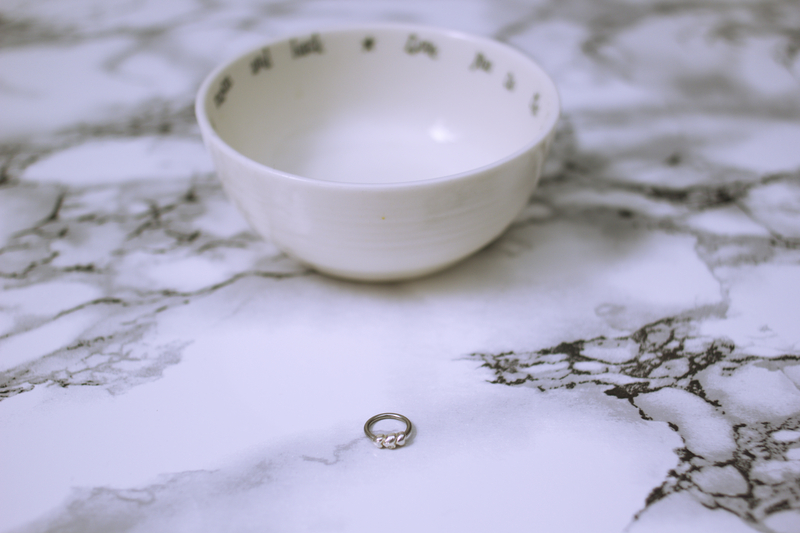 P.P.S Fancy following me on Bloglovin’ and Twitter? I’ll love you forever! The Budget Mascara I Will Definitely Repurchase!